On-demand passenger transport services will help unlock the full value of the existing transport networks while personalising transport services to create a better experience for customers. On-demand transport is any form of transport where the day-to-day services are influenced by the demand of the users. Passengers book a service for when and where they want to travel, with buses or smaller vehicles meeting this demand in place of fixed transport services. These flexible, non-regular routes encourage the use of public transport by providing mobility options for all, in areas where daily demand is variable. On-demand services can connect passengers with other public transport hubs, or direct to their destinations, to enhance the mobility of the entire community. NEW TECHNOLOGY SOLUTIONS offering instant responsiveness to the passenger to book his trip (mobile app, mobile website, booking call centre, operations software, ticketing, etc.). CAN BE ADAPTED to suit all customer profiles (including passenger with reduced mobility). Keolis Downer has been awarded two on-demand passenger transport pilot projects by the New South Wales Government. The aim of the pilots is to deliver reliable and affordable first and last mile services in two large and well-populated areas of greater Sydney that meet local needs and encourage the use of public transport. The pilots integrate with existing transport services to improve mobility for all passengers, on both high demand and low demand routes, with the result of providing faster, safer and more convenient trips. Keolis Downer already runs on-demand transport services in South Australia. Globally, Keolis is the leading operator of on-demand transport for passengers with reduced mobility in France, and also operates on-demand passengers transport services in the Netherlands (Veluwe) and the US (Los Angeles). As Australia’s largest private multimodal transport operator, Keolis Downer is excited to be contributing to developing smarter mobility solutions that will benefit communities. Keolis Downer is conducting a trial of autonomous vehicles in Victoria. The trial explores the use of driverless shuttles to serve the mobility needs of university students on campus. 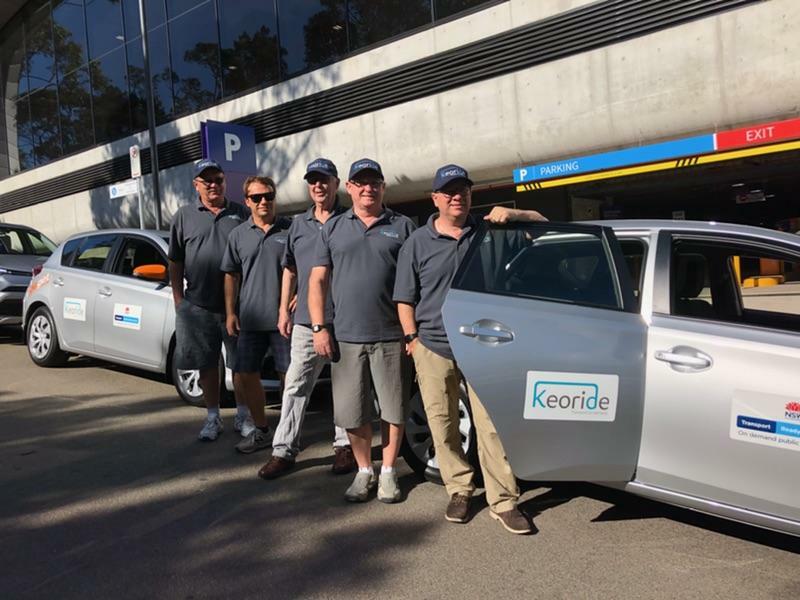 Keolis Downer operates two trials in Sydney which allow passengers to book transport from or near their home to a local transport hub or landmark. Keolis Downer operates two trials in NSW. One pilot project is taking place in the Northern Beaches area in integration with the B-Line rapid transport services. Passengers can book a vehicle that picks them up from their home or nearest designated stop and takes them to the closest transport hub. The second pilot will service Sydney’s rapidly growing City of Ryde/Macquarie Park precinct. This service aims to provide a more direct and personalised journey for commuters and students looking to travel within the Macquarie Park precinct. For more information, download our latest brochure On Demand Transport. The pilots will help the NSW Government fulfil the objectives stated in its Future Transport Technology Roadmap. These include unlocking the full value of the existing transport network while personalising transport services to create a better experience for customers.